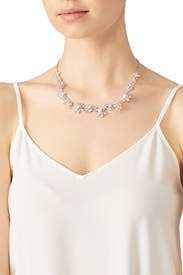 Dress up your evening look in an instant with this elegant crystal necklace by kate spade new york. 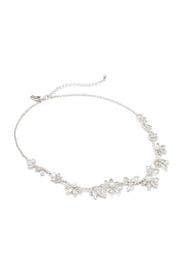 Silver plated delicate necklace with clear crystal stones and pearl accents. Lobster clasp closure. 17" long with a 3" extender chain. This was amazing, loved it!!! 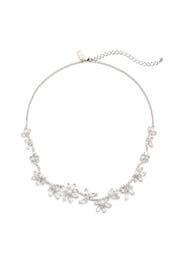 Great elegant necklace. Not too big - not like costume jewelry. The gems add to its class. 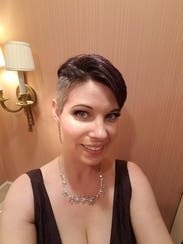 Wore it to a baby shower, with a V-neck dress. Its delicate and flowery design went well with a classy black-navy blue dress. Beautiful necklace that sparkled in the light. I got a lot of compliments on it and it paired well with diamond studs. Understated and sophisticated. This worked well with the black and blue gown I rented for a gala. Perfect - simple, sparkly perfection. 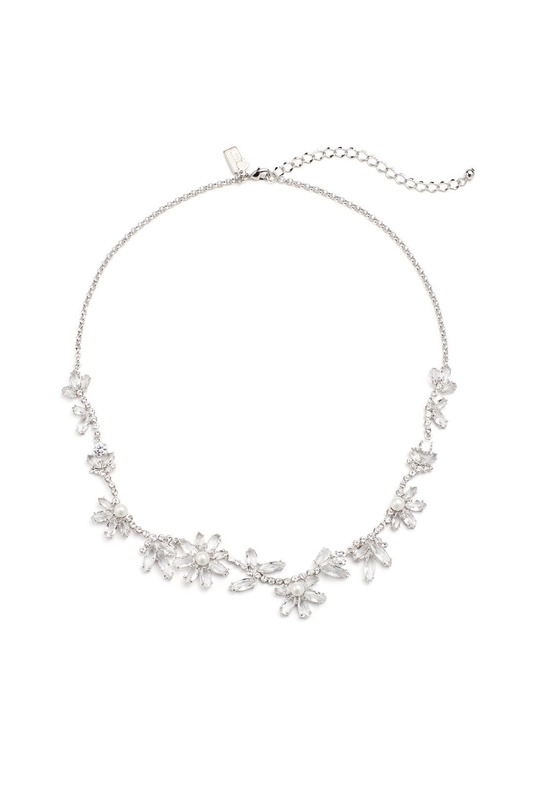 It was so pretty and elegant--Great for any formal event! It even looks prettier in person than it does in the pictures! I rented this necklace for my Mom as she was the Mother of the Groom. Her dress had a floral bottom and we didn't want to compete with that. So the necklace worked perfect to tie in the flowers. Pretty necklace, a little more casual than I realized. The necklace is pretty. But the flowers are made from plastic, not crystal. So it isn't quite as sparkly as I imagined. It just makes the necklace a little more casual than I had thought. This necklace made my wedding day! Highly reccomend! It was a fundraiser for a local theater. The necklace looked great. It snagged on someone's sweater when they hugged me, but I'd wear it again.